Traffic flooding your site or blog is the dream we all have as internet marketers. Most of us that have been around for any length of time have learned the hard way that getting visitors is not nearly as easy as the gurus out there make it seem. Fortunately, there are some cool people on the internet who are willing to share what they have learned over the years about what really works when it comes to free web traffic. I want to be clear that, although the title of this article says “5 tricks to get huge traffic to your website or blog”, these tactics are completely above board. They are legal and ethical in every sense, so do not get worried that you will need to do anything black hat or scrupulous to get huge results. The first four methods are extremely fast and easy to implement. I have had great success with these and have frequently wondered why more people do not use them to get free web traffic. Perhaps they don’t know about them or maybe they just don’t believe they work. Either way, I’m living proof they do work and, as I previously mentioned, they are very fast and easy to implement. The last tactic takes more effort and time but please don’t let that deter you. Like everything else in life, the more work some things require, the bigger the payoff, so keep that in the back of your mind as we go over everything. The simple rule here is that whenever you create ANY online profile, you should carefully use keywords and phrases you are targeting. This goes for different forums, blogs, about me pages, web 2.0 sites, social networking site and even sites like Linkedln. This does a couple of cool things for you. First, it increases your chances of being found in the search engines for your chosen keywords or phrases. Second, it increases your chances of being found internally on the site where your profile is located. To confirm this, you can check my online profiles and you will see similar keywords. To do this, just search for my name “Adesoji Adegbulu” on Google or Bing and see the results. Trends and hot products change on almost a daily basis. Most every product owner or affiliate for that product crave good testimonials to help boost sales. Many times, when you submit a testimonial, they allow you to link back to yourself in one manner or another. 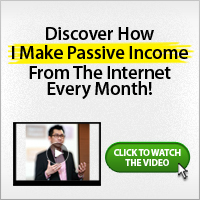 This is a great opportunity for you to drive traffic back to one of your sites or blogs. This does not mean that you should say how wonderful a product is if you’ve never used it. That just hurts everyone involved. Instead, try the product and be honest. If you are dealing with digital products and you don’t want to spend a ton of money buying everything under the sun, consider contacting the owner. Let them know you plan on doing an honest review of their product and request a full copy, demo version or some excerpts you can put to use to prove their claims. Write your “review” and offer to let them use it as a testimonial. I have written some testimonies about some of the products. One of them is a product about Making money on Facebook and Twitter written by a friend. He added my testimony to his sales page and I got huge traffic to my blog through that. This one has been around a while, yet folks still don’t use it. Why not? It’s so fast and easy to implement. Think long-tail keywords and products. If you’re niche is “dog supplies”, and one of your products is metal dog dishes, why the heck would you not name your picture for that product “metal dog dishes”? 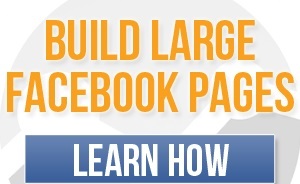 This is another free web traffic tactic that has been around but it’s just not taken advantage of by very many folks. Go to authority sites – the big dogs who show up on the first page of search engines – and get involved. If you’ve got something worthwhile to share, do it. If you’re new, ask relevant questions. And when you sign up to be a part of these groups, refer to trick #1 above. This is probably one of my favorite trick and the results are just flat out awesome. It takes a little more effort and some more time compared to the first four we covered but it is not that difficult at all. In a nutshell, to position yourself as an expert in your niche, simply right a ton of articles devoted to sub-topics within your niche and submit them to EzineArticles. For example, let’s say your overall niche is kitchen appliances. Within that niche would be toasters. Write 20 awesome articles on toasters. When someone searches for information on toasters, they find one of your articles. If you are providing great information on toasters, they will check out your author profile and see that you’ve written numerous articles on toasters. They will be thinking to themselves “This person knows his/her stuff about toasters”. That gives you almost instant recognition as an authority figure in the field of toasters. I mean, who writes 20 articles about toasters besides experts? No one. And the recognition does not stop there. Since you “know your stuff” about toasters, you must know what you are talking about when it comes to other kitchen appliances as well. Awesome. Use these 5 tricks to get huge results with free web traffic. They work like magic and can shoot your results through the roof. This post is courtesy of Paul Kaiser. Thanks for this tricks, i really needs to work more on the #2 & #3 though i often add keyword to the ‘alt’ of all the images i used on my blog post But still need to do more. Thanks for sharing 5 awesome tricks with us.I like specially 5th trick because I am using fresh and unique article on Ezine on regular basis and trying to become an expert under my niche.Thanks for sharing a great article with us.